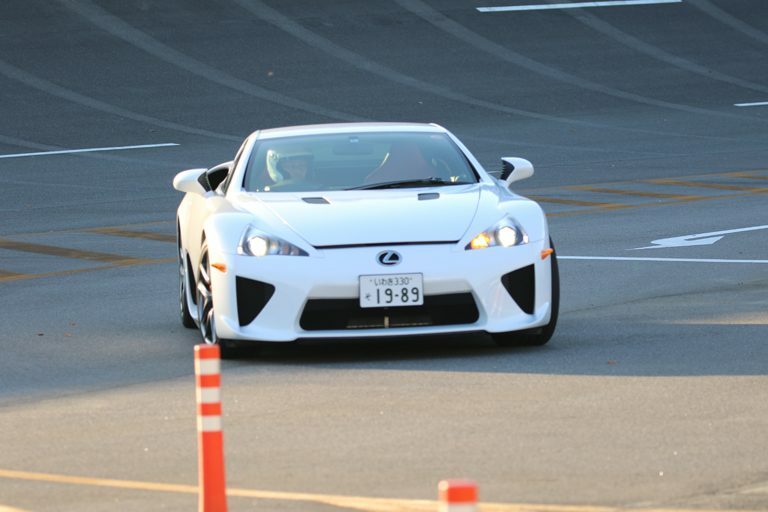 The 6th LFA & MIRAI Test Drive Event was staged on Saturday, November 4, 2017. Approximately 170 students from Fukushima Prefecture participated in the event which was held at the “Ai-Ring” test course of Akebono Brake Industry Co. Ltd. Staged in the wish of imparting dreams, hope and future to young people who were traumatized by the Great East Japan Earthquake, this year marks the sixth time the event was staged. This event was staged with cooperation and support from many companies as a “place for creating opportunities for the future” for young people. In addition to the test drive experiences, it included opportunities to learn about braking mechanisms, special lectures on vehicle development (lecturers: Mr. Haruhiko Tomohashi, the general manager of TFA development, and Mr. Yoshikazu Tanaka, the general manager of MIRAI development), a talk show (racing driver Akira Iida, professional driver Sayaka Imahashi, motor journalist Yuko Iida) etc. TOYO SYSTEM’s image character Yumena Yanai (a native of Fukushima Prefecture) also participated. 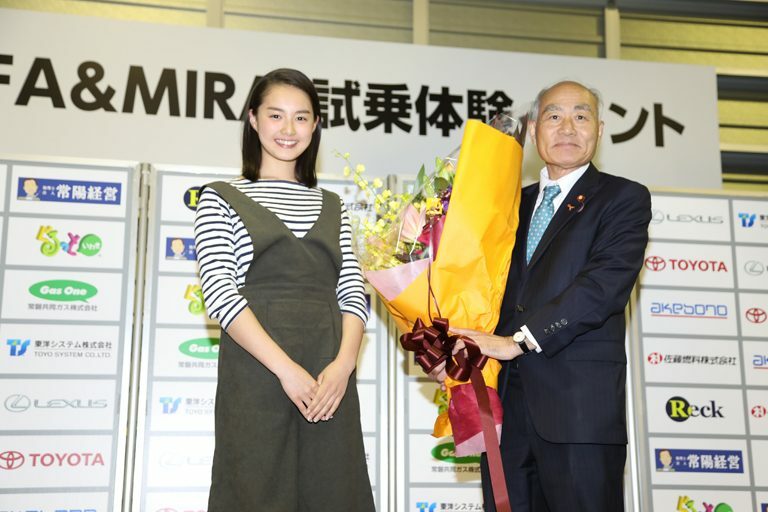 As well as taking part in the event, she presented a bouquet to Minister for Reconstruction Mr. Yoshino to express our wishes for the reconstruction of Tohoku. This event, which is inspired by a strong desire to assist young people who will drive the future, is made possible because of the support of various volunteers. Young people who took part in earlier events are today taking strong and certain steps towards the realization of their dreams. We strongly wish that this event will act as a catalyst in helping as many young people as possible, to paint their future vision and become human resources capable of driving the future.